Telltale Games is releasing the first season of Sam & Max on Xbox Live June 17 as Sam & Max Save the World. The six-episode collection of Sam & Max's 2006/2007 adventures features Achievements, tweaked gameplay controls and HD graphic support. 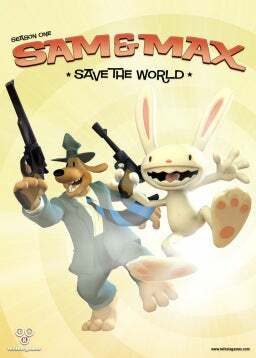 The compilation used to be called Sam & Max: Season One, but I guess "Save the World" sounds better. The actual saving of said world in these six episodes occurs I think in the last episode, Bright Side of the Moon. Now's a good chance to check out the games if you haven't had a chance already. The Xbox Live game goes for 1600 Microsoft points and for a limited time, the PC version of Save the World is going for $19.95 on Telltale's online store.